Margrethe Blossom Dearie (April 28, 1924 – February 7, 2009) was an American jazz singer and pianist. She was physically petite, with a recognizably light and girlish voice One of the last supper club/cabaret performers, she performed regular engagements in London and New York City over many years. 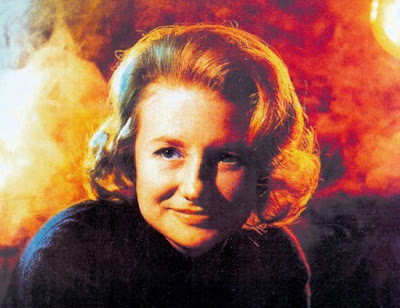 She collaborated with many musicians, including Johnny Mercer, Miles Davis, JackSegal, Johnny Mandel, Duncan Lamont, Bob Dorough, and Dave Frishberg. 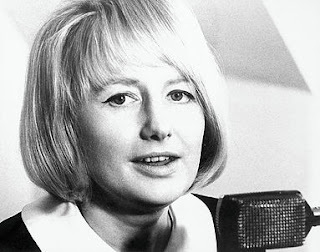 Margrete Blossom Dearie was born on April 28, 1924, in East Durham, New York, to a father of Scots Irish descent and a mother of Norwegian descent. She reportedly received the name Blossom because of "a neighbour who delivered peach blossoms to her house the day she was born", although she once recalled it was her brothers who brought the flowers to the house. After high school, Dearie moved to New York City to pursue a music career. Dropping her first name, she began to sing in groups such as the Blue Flames (with the Woody Herman Orchestra) and the Blue Reys (with Alvino Rey's band) before starting her solo career. 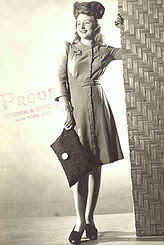 Dearie moved to Paris in 1952. 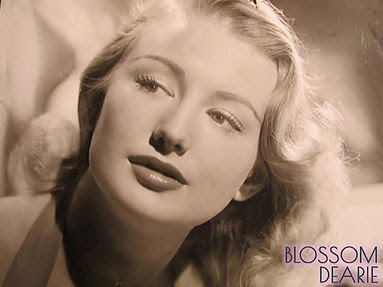 She formed a vocal group, the Blue Stars (1952–1955), which included Michel Legrand's sister, Christiane, and Bob Dorough. In 1954 the group had a hit in France with a French-language version of "Lullaby of Birdland", arranged by Michel Legrand. The Blue Stars would later evolve into The Swingle Singers. On her first solo album, released two years later, she played the piano but did not sing. While living in Paris in the early 1950s, Dearie met and married Bobby Jaspar, a Belgian flutist and saxophonist. 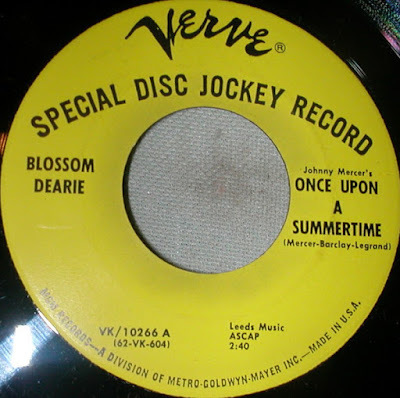 In 1954, Dearie and King Pleasure recorded "Moody's Mood for Love" (a vocal adaptation by Eddie Jefferson of a James Moody sax solo for "I'm in the Mood for Love") and this is so noted on the Prestige album King Pleasure Sings. One of Dearie's most famous song recordings from that period is "The Riviera", with music by Cy Coleman and lyrics by Joseph McCarthy, in 1956. 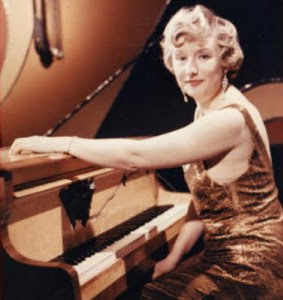 After returning from France in 1957, Dearie made her first six American albums as a solo singer and pianist for Verve Records in the late 1950s and early 1960s, mostly in a small trio or quartet setting. Dave Garroway, host of The Today Show and an early fan of Dearie, featured her on several occasions, increasing her exposure with the popular audience. In 1962, she recorded a radio commercial for Hires Root Beer. 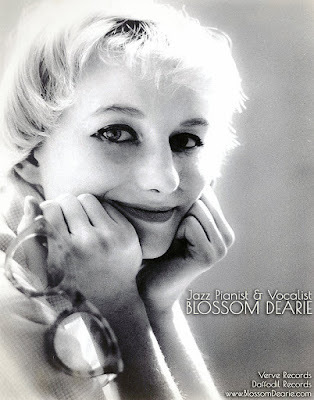 As it proved very popular, the LP Blossom Dearie Sings Rootin' Songs was released as a premium item that could be ordered for one dollar and a proof of purchase. In 1964, she recorded the album May I Come In? (Capitol/EMI Records). It was recorded (atypically for her) with an orchestra. During this same period, she performed frequently at New York supper clubs and in 1966 made her first appearance at Ronnie Scott's club in London. 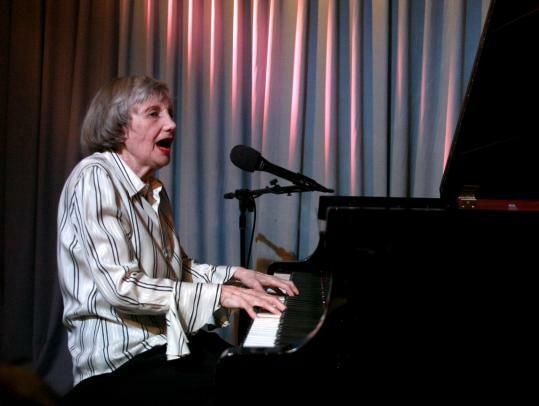 She recorded four albums in the United Kingdom during the 1960s that were released on the Fontana label, including a recording of her 1966 performance at Ronnie Scott's. After a period of inactivity, Dearie recorded the album That's Just the Way I Want to Be (containing the cult song "Dusty Springfield", an ode to the British pop star, co-written by Dearie with Norma Tanega), which was released in 1970. In 1974, Dearie established her own label, Daffodil Records, which allowed her to have full control of the recording and distribution of her albums. Dearie appeared on television throughout her career, most notably giving her voice to the children's educational series Schoolhouse Rock!. She continued to perform and record during the 1980s through to the early 2000s, cantered mostly in New York but also a regular attraction in London as well. She retired from playing live in 2006 due to health concerns. 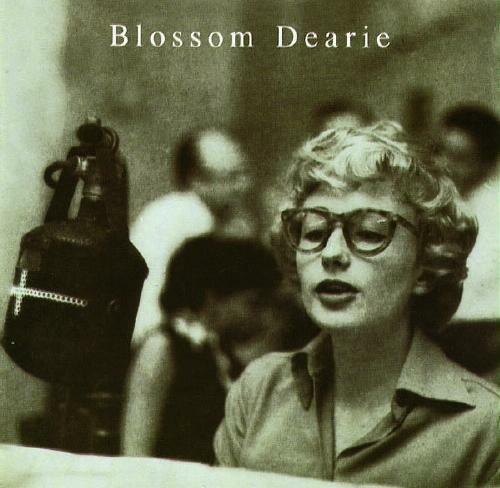 With all due respect, the second photo is Anita O'Day, not Blossom. Thanks Scott. Error now amended. I got to see Blossom perform at the Algonquin back in the 1980s. She was as unforgettable in person as on record. I love your blog for paying tribute to so many musical worthies.